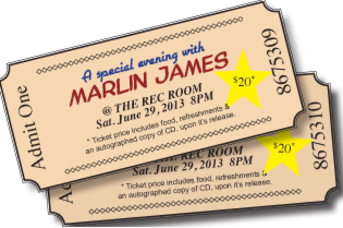 The $20 ticket includes food, refreshments & a autographed copy of Marlin's new CD upon its release. Marlin James for the making of a Live Acoustic album! Ticket holders will get an autographed copy of the cd when its done. 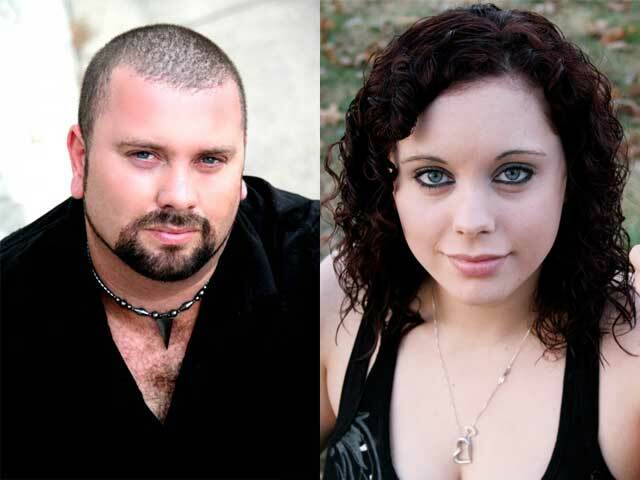 Also joining Marlin will be his Daughter Angelyn Dawn. She will be doing 3 songs that they wrote together. This is Marlin's 3rd cd and it is the first one that he has written or co-written all of the songs. 12 in total. Tickets sales are non-refundable. Come be apart of Marlin's next CD!